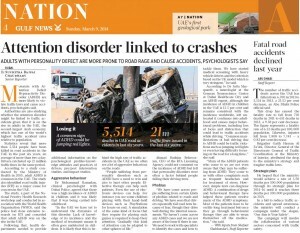 Dubai: Drivers hit with ADHD could be the reason behind many accidents on the roads, psychologists have said. 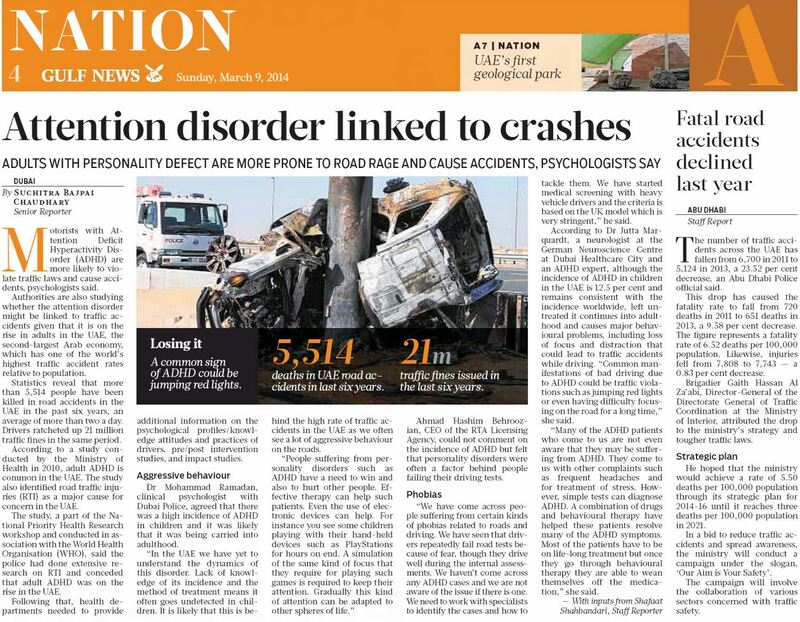 Attention Deficit Hyperactivity Disorder (ADHD) is on the rise in adults in the UAE and authorities are studying whether it might be linked to the spike in traffic accidents. The UAE, the second largest Arab economy and one of the wealthiest nations, has one of the world’s highest traffic accident rates relative to its population. Statistics reveal that road accidents have killed more than 5,514 people in the UAE over the past six years, an average of more than two every day, with drivers ratcheting up 21 million traffic fines for traffic violations. Many of these could be averted by addressing adult ADHD which has been found to be very common in the UAE and needs to be explored, according to a study conducted by the Ministry of Health in 2010. According to the study, road traffic injuries (RTI) were identified as a major cause for concern because of their high prevalence in the UAE. The study, part of the National Priority Health Research workshop conducted by the Ministry of Health and the World Health Organization (WHO), said that the police had done extensive research on RTI and conceded that adult ADHD was on the rise in the UAE. Following that, health departments needed to provide additional information on the psychological profiles/knowledge attitudes and practices of drivers, pre/post intervention studies, and impact studies. Dr Mohammad Ramadan, clinical psychologist with Dubai Police, agreed that there was a high incidence of ADHD in children and it was likely that it was being carried into adulthood. “In the UAE we have yet to understand the dynamics of this disorder,” Dr Ramadan said. “Lack of knowledge of its incidence and the method of treatment means it often goes undetected in children. “It is likely that this is behind the high rate of traffic accidents in the UAE as we often see a lot of aggressive behaviour on the roads. “People suffering from personality disorders such as ADHD have a need to win and also to hurt other people. “Effective therapy can help such patients. Even the use of electronic devices can help. For instance you see some children playing with their hand-held devices such as PlayStations for hours on end. “A simulation of the same kind of focus that they require for playing such games is required to keep their attention. Gradually this kind of attention can be adapted to other spheres of life.” Distraction. ADHD is a serious disorder with consequences caused by a neurobiological dysfunction in the brain, said Dr Jutta Marquardt, a neurologist at the German Neuroscience Centre at Dubai Healthcare City. Patients are only partially able to focus their attention on one thing. They are not able to distinguish between important and unimportant information. A genetic predisposition is supposed because of high family occurrence but alcohol, nicotine, liquorice and a lack of oxygen at birth may also increase the risk of ADHD as well as environmental factors. 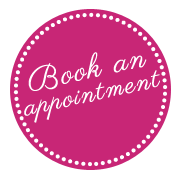 Behavioural therapy can help ADHD patients. “In a study conducted in Sweden on adults with ADHD, a control group was put through a regimen of behavioural exercises and that resulted in a marked improvement in their focus and their behaviour while driving,” the neurologist added. 7. A chaotic lifestyle where a person flits from one task to another without completing either one. 9. Dissatisfaction in relationships, resulting in unstable friendships and divorce.